I am writing to you regarding the recent disturbing developments in the Ghaziabad PF scam that involves the judges & former judges of the District Courts of Ghaziabad and of the Allahabad High Court. The Supreme Court had in September 2008 transferred the investigation to the CBI. The CBI in July 2010 had charge sheeted several judges, court staff and around 10 service providers. 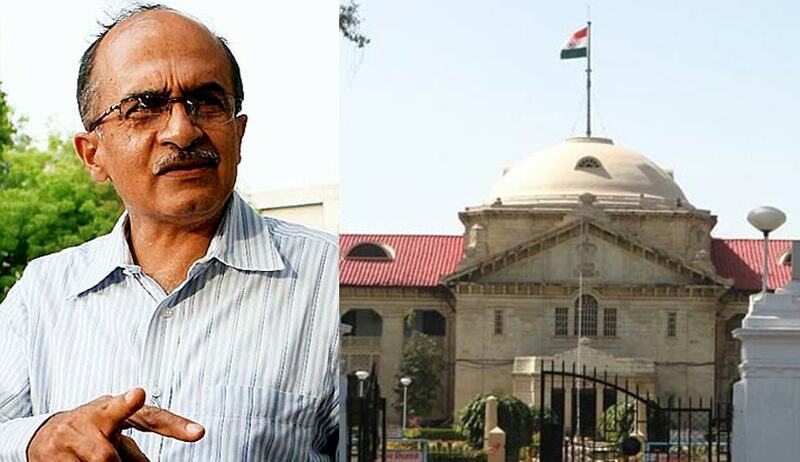 The CBI then moved a petition before Supreme Court to transfer the case out of Uttar Pradesh stating that a chargesheet has been filed against 6 former District Judges of Ghaziabad, 3 of whom were later elevated as Judges of Allahabad High Court and 48 Class III & IV employees of District Court, Ghaziabad. All these persons and their close relatives have been working in District Court Ghaziabad for many years. 13 Judicial officers and more than 25 employees of District Court have been cited as prosecution witness. However, Supreme Court in November 2010 rejected the transfer petition reposing faith in the courts of Uttar Pradesh, including the High Court of Allahabad. CBI in its chargesheet had indicted Mr. Ashutosh Asthana, the central nazir of Ghaziabad district court, for making unauthorised withdrawals from the PF account of the court staff. The CBI had not chargesheeted most of the goods and service providers who had been paid by Mr. Asthana for the goods & services supplied by them to the judges. Mr. Ashutosh Asthana, the main accused who provided critical evidence, was found dead in Ghaziabad jail in mysterious circumstances in October 2009. CBI had not chargesheeted most of the service providers and they had been given a clean chit. And, the 10 service providers chargesheeted by the CBI had provided most credible evidence about the scam because these persons who had provided services like providing luxury cabs, mobiles, cutlery, dresses, photography to the judges. The CBI made all such persons as their ‘approver’ and the Special Judge, CBI Court granted pardon to them while making them approver under Section 306 CrPC. In fact, the service provider had raised their service bills and as per the CBI chargesheet the amount was credited by Late Ashutosh Asthana and the service providers had no knowledge that judiciary was involved in a scam of its own making. While granting the bail to such service providers, the High Court of Allahabad had made a condition that they must first deposit with the court the amount that they had received in their account from the GPF fund. All the service providers (many of whom were later found completely innocent by the CBI) deposited the amount before the CBI Court and the bail was granted. After they were subsequently discharged or pardoned, the service providers moved the court for refund of the amount deposited by them, but their applications were inexplicably rejected saying the trial of the case is still pending. An audit committee was constituted by High Court of Allahabad and it directed that all account holders in whose account the cheques were credited to return the amount with interest for 6 years. This is despite the fact that all the service providers are “holders in due course” of the amount held by them and as per provisions of the Negotiable Instruments Act and judgments of the Supreme Court, they are entitled to hold the said amount. The audit committee directed all the service providers to deposit the amount though they had objected that they had already paid the amount while securing bail and hence the second time recovery is impermissible. This recovery is being attempted 7 years after the scam came to light and everyone realized that money has been embezzled from GPF accounts. This recovery is being attempted without any judicial finding of their guilt or without any recovery suit being filed. Thus, this amounts to an apparent attempt to harass the service providers, who have either been given clean chit by CBI or who have been pardoned & made approver by the CBI Court. The committee constituted by the High Court had one judicial member who rejected all the pleas of the service providers. When the writs were filed in the High Court by these service providers in March 2015, the same person filed the counter afffdiavit and made averments even contrary to the CBI’s final report. In May 2015, the same individual was transferred by the Allahabad High Court to preside over the same CBI Court hearing the Ghaziabad PF Scam where he joined on 7th May 2015. As CBI Judge, he hurriedly started taking the evidence of the CBI approvers in his own manner and at the same time he directed the tehsildar and kotwali police to forcibly recover the amount from the service providers. The same officer in the administrative capacity passes the recovery order, then justifies his own order in the counter affidavit and he is now seized with the matter on judicial side, shows how process of justice is sought to be subverted. The High Court, in August 2015, rejected the stay applications moved by the service providers after 5 months after exchange of pleadings and refused to decide the main writ petitions. The judge who headed the bench of the High Court, as per my information, is the administrative in-charge of Ghaziabad courts, but he did not recuse himself. Fortunately, in the SLP filed by 9 such service providers against the rejection of the stay application, the Supreme Court has presently stayed the recovery proceedings. In fact, the wife of main accused Late Ashutosh Asthana has petitioned the CBI Court that properties bought by her late husband be auctioned at current market rate for full recovery of embezzled money, but those applications have been kept pending. The actions of the CBI judge and the High Court of Allahabad appear to be designed to terrorise the approvers and those discharged so that apparently those who are involved in the scam, including the judges, are saved. Therefore, I request you to intervene and use your office, in order to see that the process of justice is not subverted in this case that involves a scam involving the judiciary. The recovery proceedings against the service providers must be immediately dropped. The special judge, CBI Court be removed/transferred since he obviously has a conflict of interest having dealt with recovery proceedings on the administrative side. The evidence recorded by him be scrapped and recorded afresh by a new judge. How this PF scam is dealt by the High Court of Allahabad on its judicial and administrative side would have significant impact on the confidence of the people in the judiciary in general and Allahabad High Court in particular. Credibility of the judiciary is at stake.